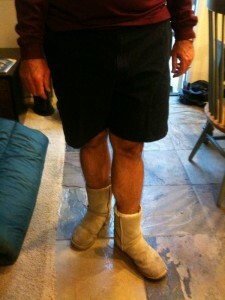 Guys- I know UGG boots are comfortable, warm, perfect for the snow or rain, easy to slip on, trendy, good-looking shoes. However, the UGG boot you see on every female in California as soon as September rolls around is not what you guys should be wearing. That is- in public. Sure, UGG makes a few of the boot styles for men, but hello, let’s think about it, they are a company that knows even though this is a woman’s shoe, if they put out maybe one or two of the boot styles for men, they will keep their G’s rolling in easily. This is a common mistake many men make. I know you guy’s are all about comfort, SO am I! But wearing a woman’s shoe is not always the answer. So if you’re wondering what it is you should be wearing I have a few options which are JUST AS or more comfortable than the popular woman’s UGG boot. I actually went and tried on these options myself and some are beyond comfy. Sure, they do not go up to your mid shins, but do you wear normal boots that go up to your mid shins? You know, devil wears prada style boots. Probably not, so there is really no reason for you to be wearing these either, unless you are in your home (maybe) or you are 5 years old and have little say in your wardrobe. This slipper is from Payless, It is super comfy, very stylish and affordable so you don’t have to worry about getting your money out of it by wearing it for three season. Guys, from Nordstrom’s, the Ascot slipper is one of the UGG styles I see on so many men. They can be worn around the house or even out in public because they don’t look like a house slipper. If you ignore the image on the right which Adam Sandler looks like an elf/ pilgrim in- the slippers actually look really good on and notice he is out in public in them! 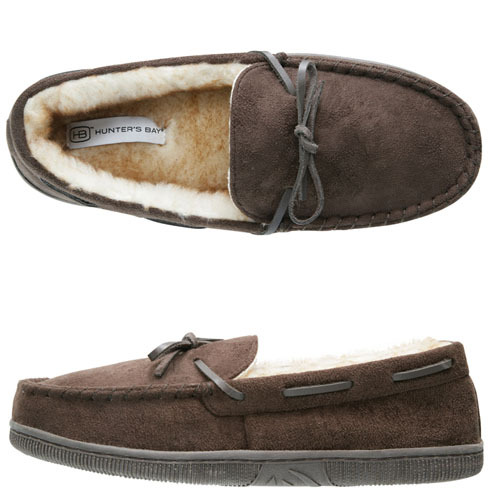 Another great UGG boot for men from Nordstrom’s is the UGG Australia “Scuff Romeo II” Slipper. These are great if you are looking for more of the UGG slipper feel/ style. Last but not least- one of my personal favorites is the DC Men’s Villain Shoe. These are so so comfortable. My best move yet was getting these as Christmas gifts for all the guys in my family. Now, I know some of you guys already understand trends, styles and what’s acceptable or not. However, I do know there are still a lot of you guys out there that don’t know. Although my dad was the one whose fashion sense prompted me for this post, this is not the first time I have seen a guy pull the style below. As a matter of fact one of my roommates wore these all winter last year. No bueno. GUYS: Do not leave the house looking like you are ready to round up the wolves for the dog sledding. My husband has some shoes in this style but a skate brand – I love the look. 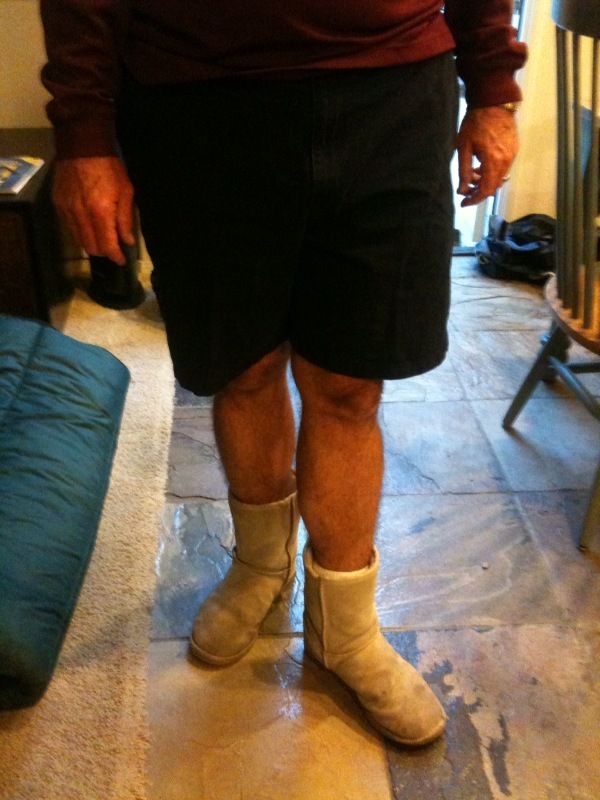 That picture of the man wearing the UGG boots made me LOL! Personally I don’t like the UGG slipper look on men outside the house, it may be comfortable but it reminds me of the sweatshirt look. A little too casual.